Everett Ewing Townsend, called the "father of the Big Bend National Park," was born on October 20, 1871, in Colorado County, the son of William Wallace and Margaret (Long) Townsend. At the age of nineteen he joined the Texas Rangers and was appointed deputy United States marshal at twenty-two. In May 1894 he was appointed a United States customs mounted inspector. While in the ranger service in 1900, he assumed charge of a 200,000-acre unimproved and unstocked ranch in Pecos County. After sixteen years it was fully improved, with 14,000 cattle. 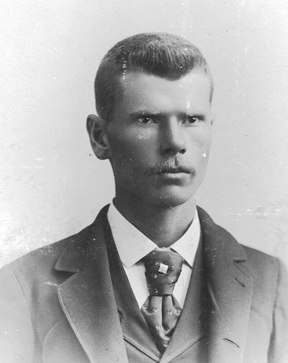 In 1918 he was elected sheriff of Brewster County, the largest county in the nation. He served three terms, but refused a fourth term. Townsend was an earnest advocate of friendly relations with Mexico. He was one of the founders of the Sul Ross College Museum, and for several years he served as its curator. In 1932 he was elected representative to the Forty-third Texas Legislature and, with Representative Robert M. Wagstaff, coauthored the first bill to make the Big Bend area a state park. As a result, 150,000 acres of land were set aside for park purposes. Townsend interested the National Park Service in the idea of a national park there, the establishment of the Big Bend Park Association, and the purchase of the land. On September 5, 1943, he witnessed a ceremony at Sul Ross State College at Alpine, where Governor Coke R. Stevenson of Texas signed the deed to the United States government, transferring 750,000 acres of the Big Bend country to the National Park Service. Townsend's first wife, Alice A. (Jones) Townsend, died on May 26, 1940; they had one daughter. He married Ada Blocker of Austin in 1942. Townsend died on November 19, 1948. BIBLIOGRAPHY: Clifford B. Casey and Lewis H. Saxton, The Life of Everett Ewing Townsend (West Texas Historical and Scientific Society Publication 17, 1958). Vertical Files, Barker Texas History Center, University of Texas at Austin.